Any time alumni return to visit their alma mater is cause for celebration. But I am especially thrilled this weekend to welcome alumni of the Kenyon Educational Enrichment Program (KEEP) back to campus to join current KEEP Scholars, as well as faculty and staff, in marking an important milestone: the 10th anniversary of the program. 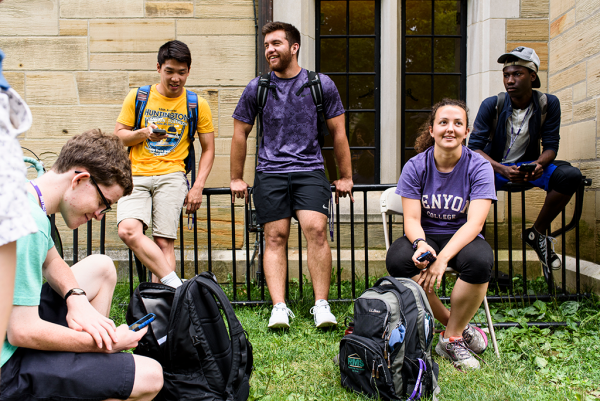 This signature initiative of Kenyon’s has bolstered more than 200 students as they become part of our community and emboldened them to fully realize their leadership potential and shape our campus culture and conversations. I see many KEEP students at the helm of student groups, or participating in campus committees, setting the bar high for all students and actively engaging in the vital work of leadership in our community. Identifying these student leaders and giving them a platform to thrive both academically and socially becomes even more important as we move to bring more underrepresented and first-generation students to campus and to make our community more inclusive. Like other cohort-based college leadership development programs, including the nationally known Posse Foundation, KEEP’s exceptional impact on students is undeniable: 94 percent of KEEP scholars have persisted at Kenyon (staying enrolled or graduating within 6 years). This is a higher rate than the national average for private first-year colleges. The incredible success of the KEEP program inspired Kenyon to double its size in its first five years, from 12 students in 2007 to 24 students in 2012. And just this year, with help from a nearly $1 million grant from the National Science Foundation, Kenyon added an additional cohort of 12 STEM-focused students. KEEP’s success is inextricably linked to the people and institutions invested in its results, from the Silverweed Foundation and the Howard Hughes Medical Institute, which provided funding for the courses that sparked the program a decade ago; to the scholars, who devote significant time and energy to this academically rigorous program; to the faculty and staff mentors who usher KEEP scholars from their first tentative days in Gambier through a jubilant Commencement. As Kenyon charges into its third century, I look forward to welcoming new generations of these scholars and leaders as they ascend the Hill. Congratulations, KEEPers, on a remarkable decade.